John Takes Pop-Culture: Update 5 - What is Beauty Anyway? Update 5 - What is Beauty Anyway? My reading has certainly stirred up some thoughts, but they haven't really settled back down. Aristotle has exciting little tidbits on the subject of beauty which, actually, make me wonder whether we're talking about the same thing. 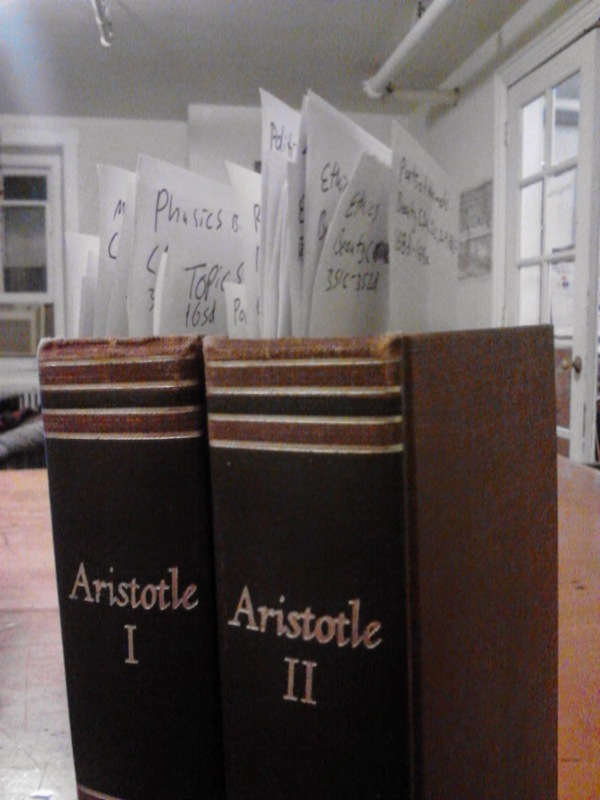 It's important to remember, of course, that I'm reading Aristotle in translation. I have to keep in mind that the scope of the Greek word “kalos” and the English word “beauty” aren't necessarily the same. His use of the term “beauty” seems more concerned with form (in the sense of arrangement of parts, size, etc.) than my use has, to this point. Not that I thought beautiful things could be formless or that size, length, loudness, and the rest had nothing to do with it. It's just that when Aristotle talks about beauty, he seems to be talking about what is visible, rather than what the visible thing means. I suspect that, when I use the word beautiful, I mean something like “lovable;” anything that is worth being near, seeing, protecting, and helping if that be possible. And, while order and symmetry and definiteness are important parts of that, I include more. Aristotle might accuse me of painting sloppily with too big a brush by including some “good” and some “truth” in my use of “beauty.” Even worse, he might accuse me of including some of the merely pleasant in my use of the term. It's a jungle out there, and we should have our equipment in order and our eyes clear if we're going to hack through the underbrush. I've been through the references from Aristotle on Beauty once so far, and they've stirred the pot (as I say above). Now I'm moving on to some reading about Art. Onward and upward (I hope).